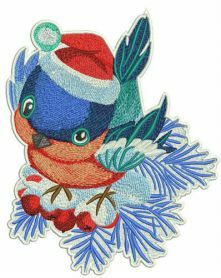 Check out this cute birdie ready to join the Christmas celebration! 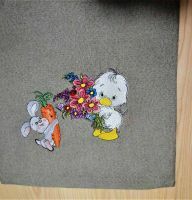 This embroidery design will be a perfect addition to your Christmas presents and home decorations. It features a colorful bullfinch sitting on a branch of a snow-covered fir tree. The birdie is wearing a Santa hat and has an amusing curious look. The color palette is an awesome mix of ozone, saffron, dark rust, dolphin blue and bluestone. What a perfect winter palette! 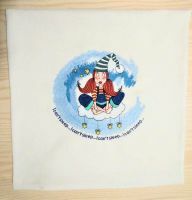 This Christmas bird will enhance any items of your choice, from sweaters, mittens, gloves and pajamas to towels, blankets, cushions, quilts and more. 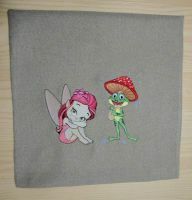 And it works with all fabrics too! Was delivered quickly and loved the design. The christmas bird if perfect and stitches out without issue! nice designs delivered very quickly. Great transaction, super fast delivery!